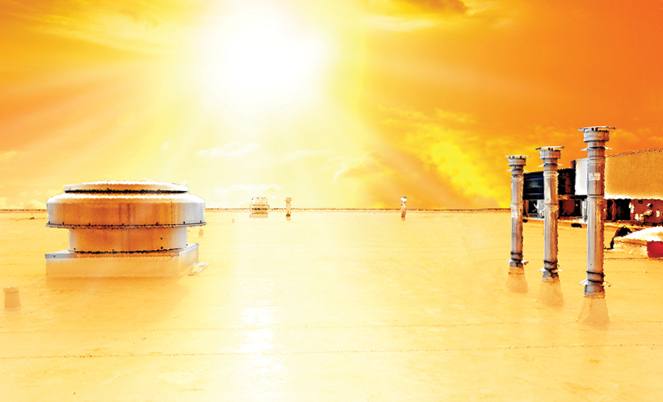 Extreme heat has little impact on our roofs. In fact, under intense summer sun the roof will only rise 1 to 2 degrees over ambient temperature, even during weeks of a blistering heat wave. As a matter of fact, our membranes have withstood 56 days in a 160� oven with no cracking, chipping or crazing whatsoever. How's that for heat resistant. When it comes to UV durability, the stability of the resins and the UV inhibitors within the membranes we use contribute to exceptionally long lasting durability. Extreme cold can actually make our roofs last longer. A frozen roof covered in snow doesn't degrade because UV inhibitors and plasticizers within the membrane are protected, bringing a halt to the aging process. Since all of our membranes are reinforced with an incredibly tough mesh scrim within, it could hail for weeks with no effect to your roof at all. Creating a watertight roof is the price of entry, and we guarantee ours will be leak free for years. What we're most proud of when it comes to issues with moisture is that all of our roofs are self-drying and actually help prevent the entire building from accumulating moisture altogether. Our roofs are also chemical resistant. Even if you or your occupants work with stuff we can't even pronounce you'll have nothing to worry about. At least when your roof is concerned. 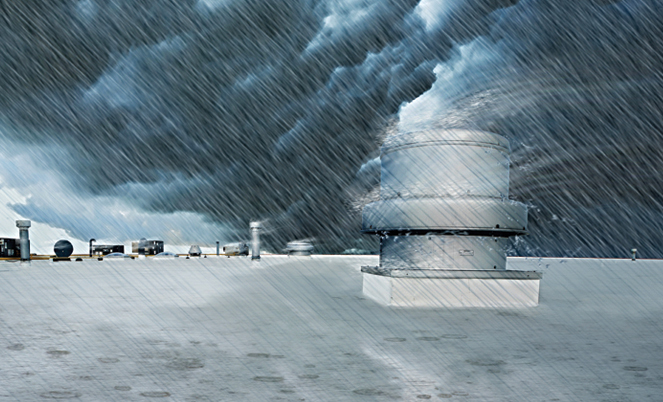 All Eco-Tech roof systems are designed to meet 'Factory Mutual Specifications' which are criteria implemented by the insurance industry to assist them in insuring buildings that are subject to high wind extremes. As a matter of fact, these criteria are even higher than the standard building codes in North America. First, we consider the location of the building or its 'wind zone'. If a building is along the edge of a lake we design the roof with a higher wind load than a building in a densely populated area. Then we consider the height of the building. A 20 story high rise can reach up to four times the wind rating as the same roof on a warehouse. 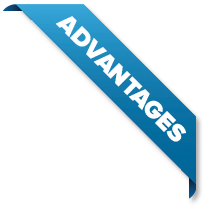 We calculate the number of panels of attachment per unit of square feet depending on the height of the building. We also consider the climatic region the building is situated in as well. Because our roofs are vented, pressure inside and outside is equalized. This helps moisture escape and keeps your building healthy in the long run. 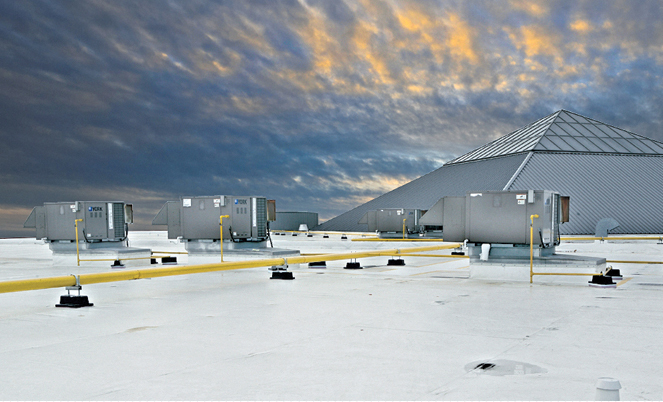 eco-tech roofing systems are strong, reinforced single-ply thermoplastic membranes precision fabricated to your building's specifications and backed by the best warranties in the business.